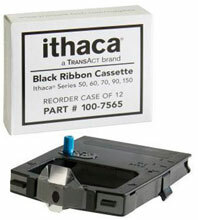 Ithaca Receipt Printer Ribbons - Black Ribbon Cartridge for 50, 150, and 90PLUS Series Printers ONLY. Single cartridge. 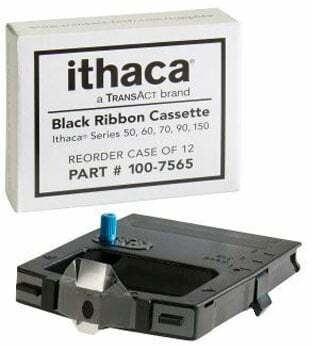 The Ithaca 100-7565-R is also known as Transact Ithaca	100-7565-R	or 1007565R	.